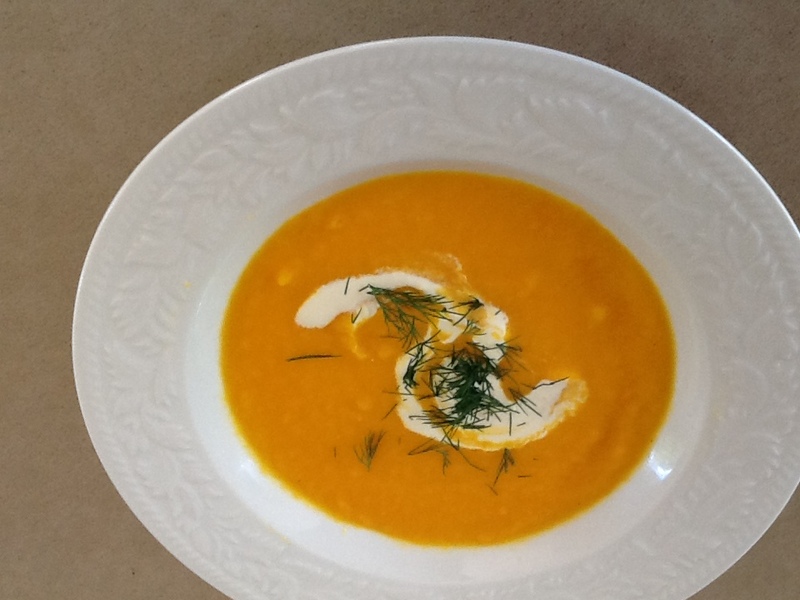 This recipe comes from my dear friend Blanca Bulnes who lives in Santiago but spent 4 years in Canberra when her husband was the Chilean Ambassador to Australia. It’s quick and easy to make and perfect for a warm summer’s day. Home made chicken stock is best for this recipe. Leave it in the fridge to chill, then remove any fat from the surface. Otherwise make up a litre of stock using a cube. Vegetarians can use vegetable stock. In a food processor mix avocado flesh with yoghurt, cream and some of the stock. Scrape into a bowl and add remaining ingredients. Chill for several hours or overnight. Serve garnished with chopped parsley or toasted slivered almonds or a drizzle of red capsicum/pepper puree. Red Pepper Puree: place 2 capsicums on an oven tray and spray with oil. Place under a very hot grill until slightly blackened and blistered, then turn and grill the other side. Cover loosely with foil and leave until cool enough to handle. Remove skin, seeds and membranes then blitz in a food processor with enough olive oil to make a smooth red paste. Store covered in the fridge. This entry was posted in Recipes and tagged easy, party food, quick, soup, summer, vegetarian by Linda Peek. Bookmark the permalink. 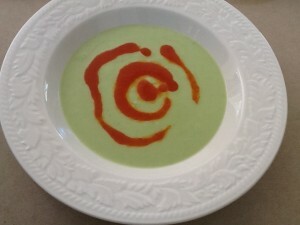 Thank you for the avocado soup recipe!